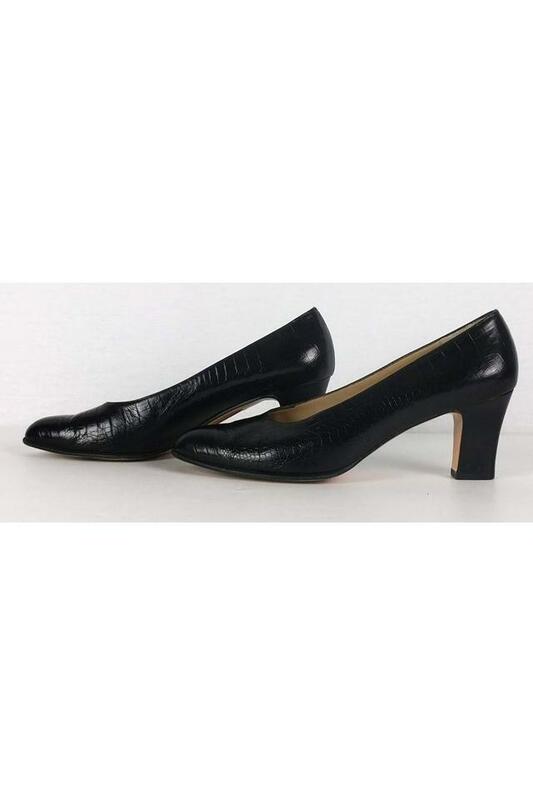 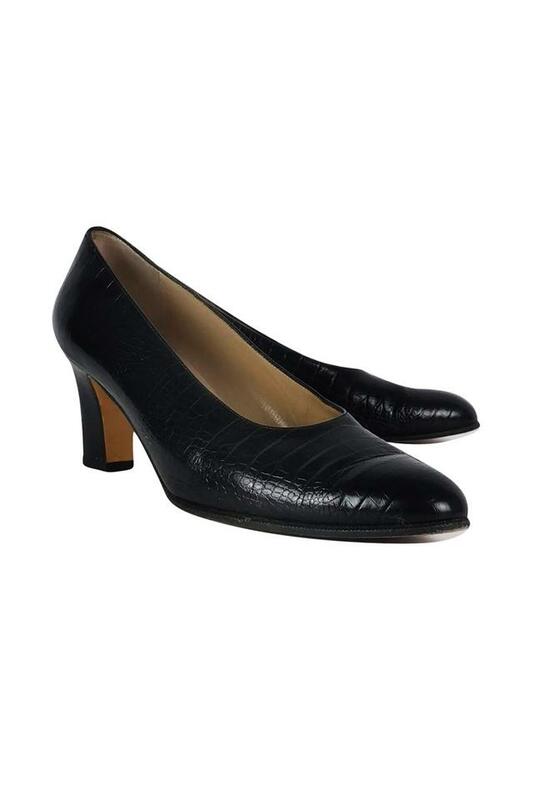 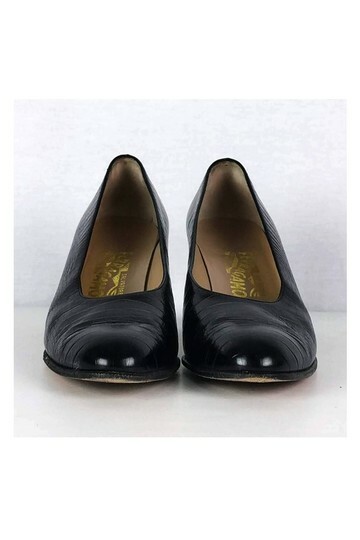 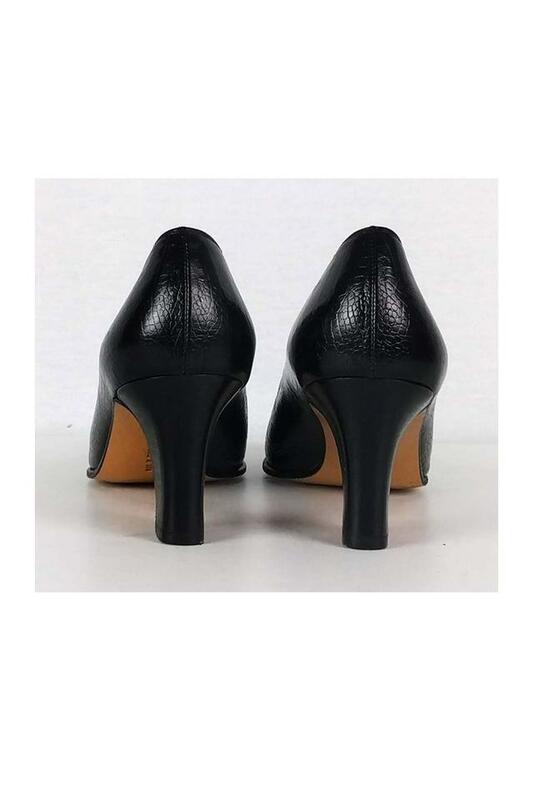 Chic black leather pumps in an embossed leather fabric. Their rounded toe is complemented by a wood heel. These closet staple shoes are great for the office.